Chop or dice ingredients and toss in bowl with tuna, herbs, lemon juice, mayo, cheese (optional) and mustard (optional). 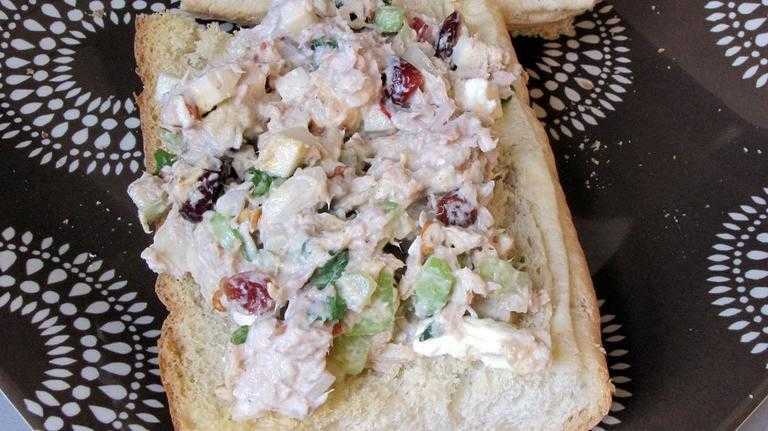 Toast your bread, if you wish and add tuna salad (or turkey). I think this would make a tasty sort of panzanella by making the bread into croutons and tossing with the salad mixture. That’s my plan for next time.